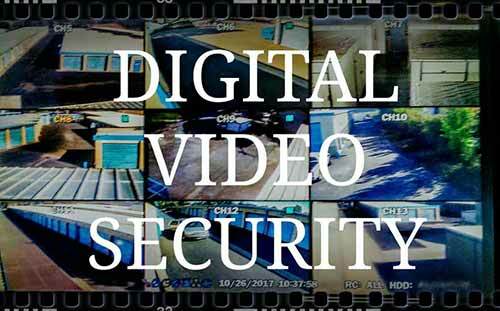 Video cameras throughout the facility are digitally recording 24/7. The perimeter of Mr Space is encircled with high fences and walls to discourage unwanted “visitors”. The electrically operated gates at Mr Space have digital keypads for entry and exit. Each tenant selects their own unique 6-10 digit gate code. Access doors to Interior units have a secondary numerically coded locking system. High intensity lighting at night discourages intruders. At least once a day - every day - every unit on the property is visually checked to assure it is properly secured. When you rent a storage unit at Mr Space you will be asked to provide a secret password. We will not divulge any information about your account except to you; either in person - with an I.D. - or on the phone with your password. All our tenants are part of our “Neighborhood Storage Watch” program, providing extra security “eyes” when they visit the facility. If they see ANYTHING that looks even slightly suspicious they DO NOT confront the potential offender(s). They DO report what they saw, with the exact date and time... in person, on the phone or by email. We then check the digital video and resolve any possible issues. We rent units in ONE NAME ONLY. We recognize that anyone you give the keys and codes has your permission to access your storage unit. YOU ARE RESPONSIBLE for having them know HOW to access the facility and your unit and to comply with all facility rules. (*) We sell disk and bullet locks at reasonable prices.